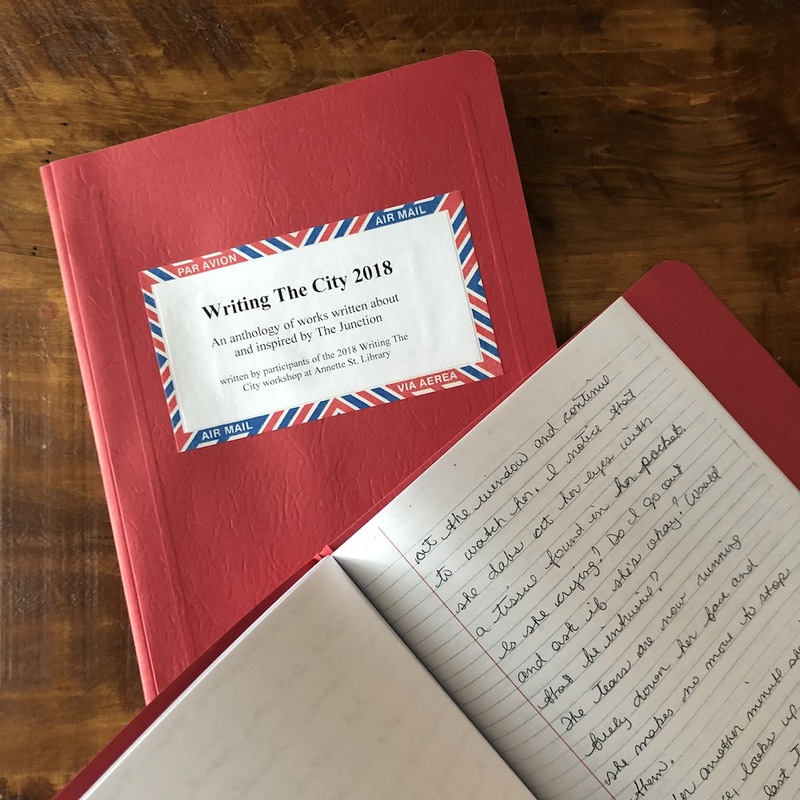 I’m so thrilled that Writing The City 2018: An anthology of works written about and inspired by The Junction written by participants of the 2018 Writing The City workshop at Annette St. Library is bound and ready for its public debut! I worked with a dedicated and talented group of Junction-based writers throughout the fall of 2018 and they wrote such fascinating work about our neighbourhood. We wrote based on lines from Junction-based books, created characters that lived amongst us, played with maps and found poems and haikus. It was so much fun and now you can read what we worked on! Our anthology will be available at Annette St. Library in the Junction History section shortly! I am so grateful to the Ontario Arts Council for funding and Annette St. Library for support.